The hormones in birth control pills are not stored in the body, so there is no accumulation of hormones after years of taking the pill. This means you are not more protected by taking birth control for 10 years compared to a woman who just started taking the pill. There has been some debate over the impact of long-term birth control use on fertility for quite a few years. With advances in medication research and changes in birth control pills, there does not appear to be any impact on fertility for most women. Women have reported taking the pill for up to 15 years and conceiving the first ovulation cycle after they stop taking birth control. This means missing your birth control pills, whether you’ve been taking them for six months or six years could have the same effect – increased risk of pregnancy. The protocol for restoring pregnancy protection after missing birth control pills differs depending on the type of pill you’re taking. Progesterone-only pills must be taken at the exact same time every day. Missing one pill by just three hours can lead to reduced efficacy and increased risk of pregnancy. If you’re taking estrogen or combination birth control pills, missing two pills (dosage of less than 30 mcg of estrogen) or three pills (dosage of 30 mcg of estrogen or more) can have the same effect. 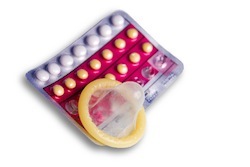 After missing pills, take seven consecutive days of birth control to restore protection. Use an alternative birth control method until you’ve taken at least seven active pills in a row. If you missed one or two pills during the first two weeks of a new pack, risk of pregnancy could also be increased so use alternative means of pregnancy prevention for at least seven days while you catch-up on your birth control dosage.